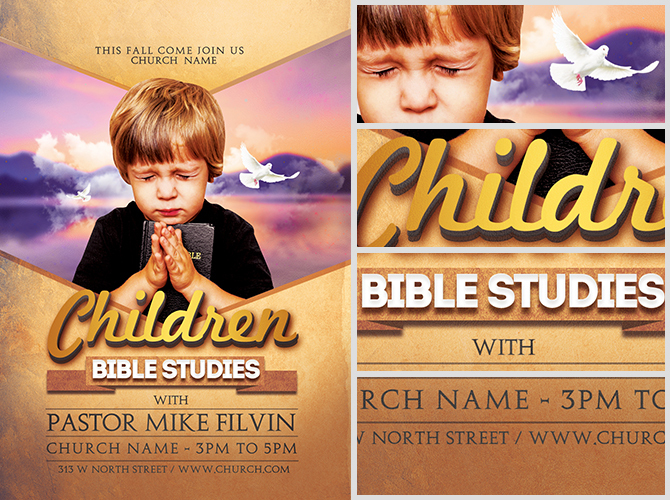 Here we have a simple flyer template designed with churches in mind. 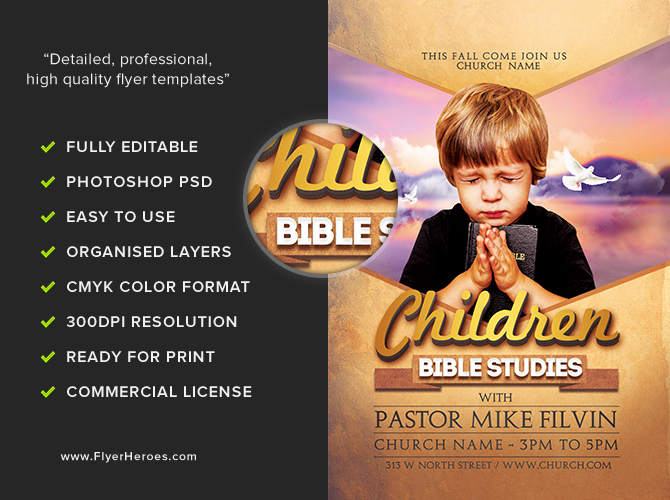 Bible Studies Flyer Template by FlyerHeroes has been created for churches to advertise their bible study classes and other church related events. 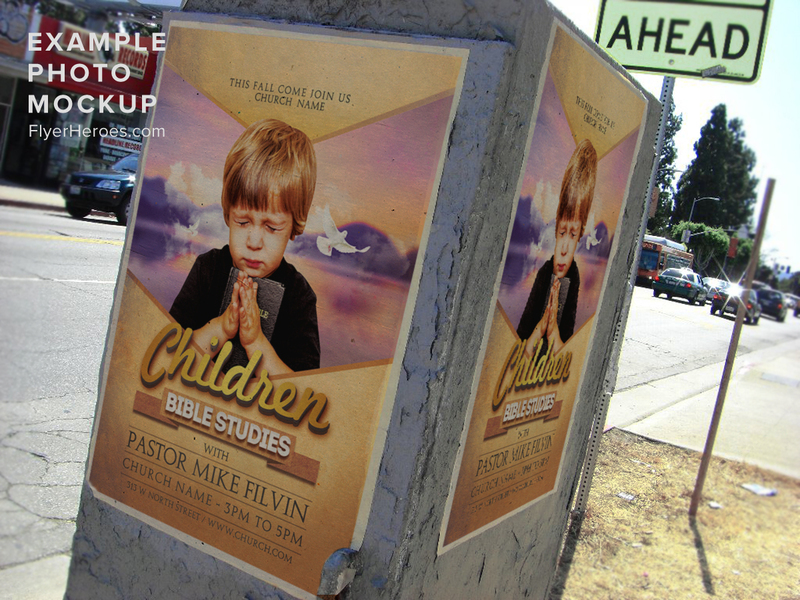 Replace the image placeholder (of the child praying) with your own stock image or a member of your congregation. Whilst you’ll need to use an image of your own with this template, its overall simplicity is the ultimate selling point. With just a few lines of text to edit, you’ll produce a high quality and professional looking design for your church in no time at all. 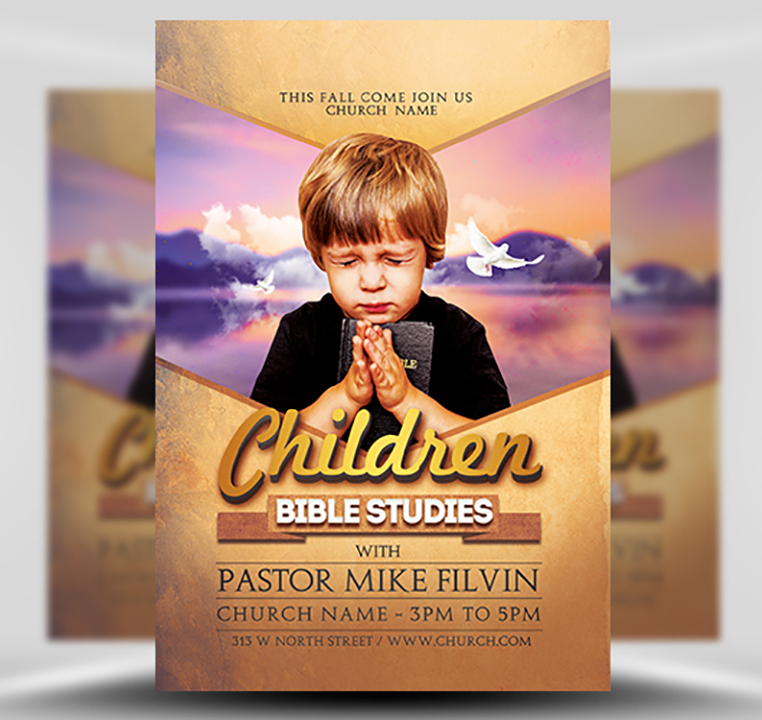 Bible Studies Flyer Template is a premium Photoshop PSD flyer / poster template designed by FlyerHeroes to be used with Photoshop CS4 and higher.